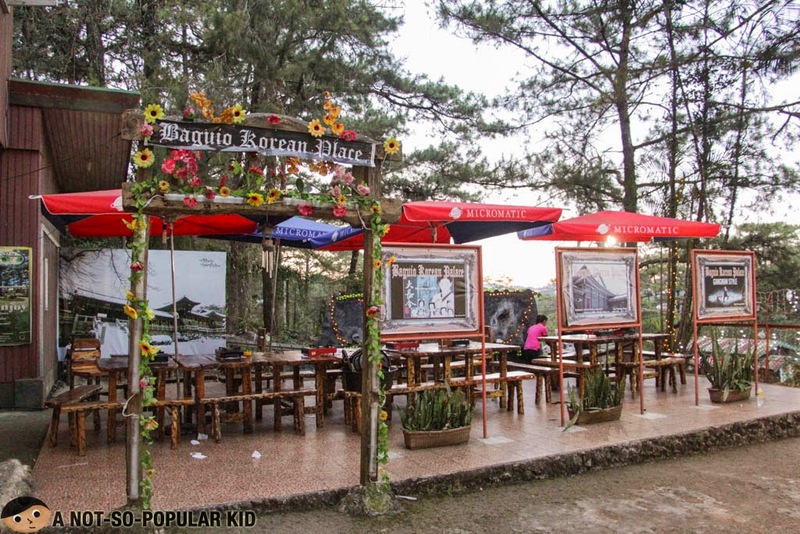 During our 3-day stay in Baguio, we aimed to try as many restaurants as possible, but that objective crushed upon witnessing the terrible traffic condition of the city, and attempting to do so, would not be a smart idea as it will be extremely time consuming and costly. In fact, moving from point A to point B takes about half to a full hour. Think of all the things you could have done and enjoy during those lost hours. We already consumed a lot of time stuck in the traffic during our first day, and we didn't the same thing to happen for our succeeding days of stay. This why we felt extremely lucky when we found out that there was one restaurant not too far from where we stayed. Friendly tip: In the peak season, immediately locate the nearby restaurants from where you'll stay. This will save you time. 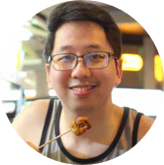 However, if you really want to try specific restaurants, plan ahead and identify the most convenient and strategic place to stay. The restaurant I was referring to goes by the name Kung Jeon - Korean Palace. It has been operating for quite some time now (according to my friend Nat), and over those years it was able to accumulate popularity. 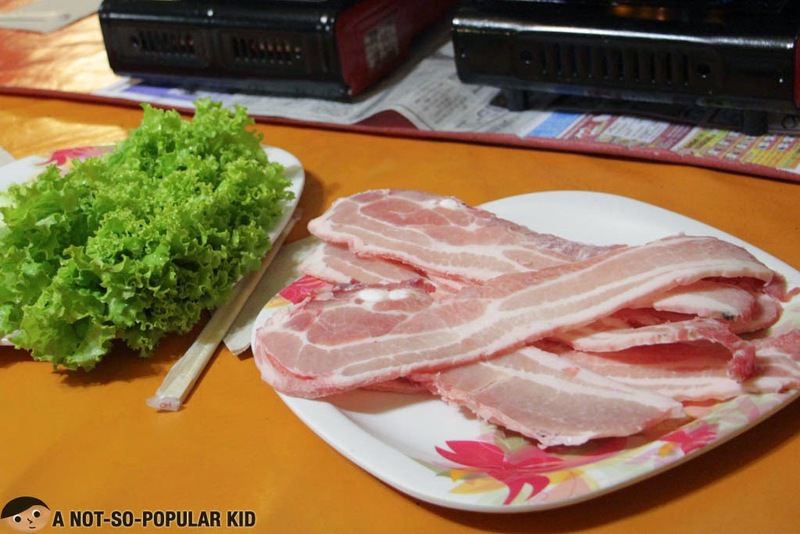 There is an alternative to this place also serving unlimited samgyupsal plus with an addition of a hotpot for those who love to sip something warm. 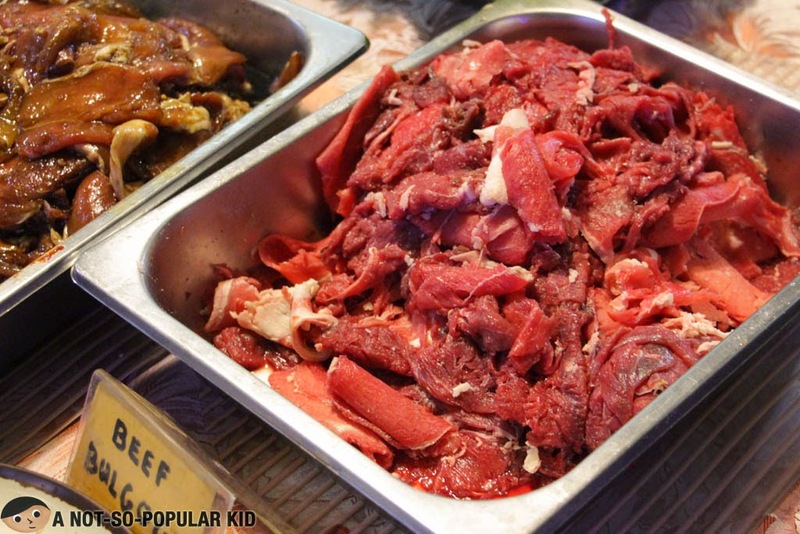 It goes by the name Korean Manor Buffet, and it's just a few walk away from here. 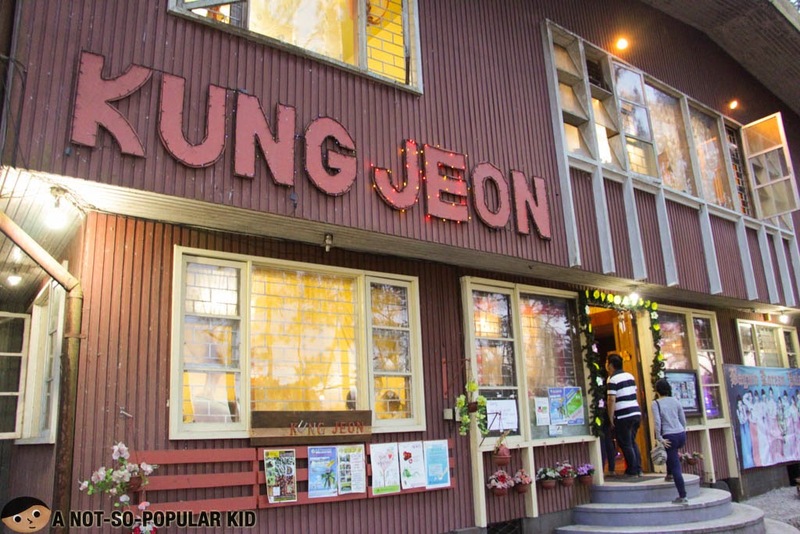 Kung Jeon is one of those restaurants in Baguio that were either initially a home or designed like one. Innate to such set-up is a warm and of course "homey" ambiance. Normally, it would have been comfortable as well, but there was something in the air that made me feel slightly icky. I guess it was the combination of the oil and the smoke from the grilling that made the air dense and "uncomfy". 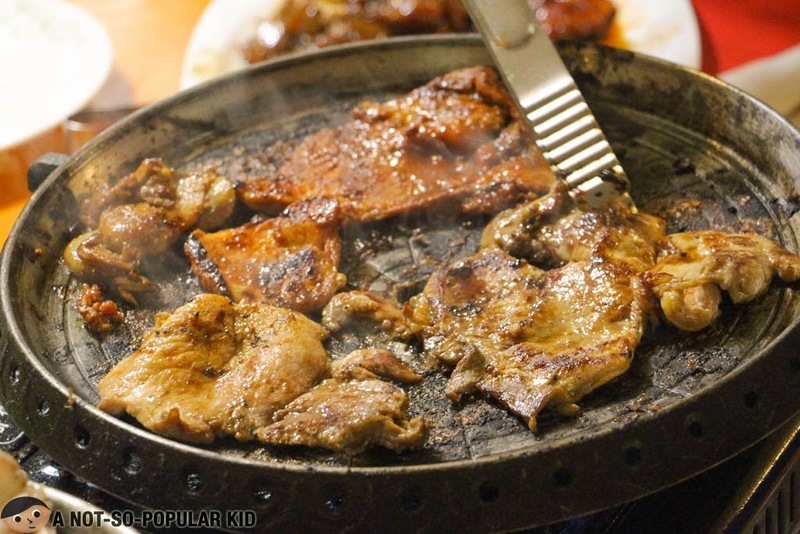 The available grillables here in Kung Jeon include (from left to right of the photo above) Spicy Marinated Chicken, Boneless Chicken, Samgyupsal Pork Belly, Pork Bulgogi and Beef Bulgogi. 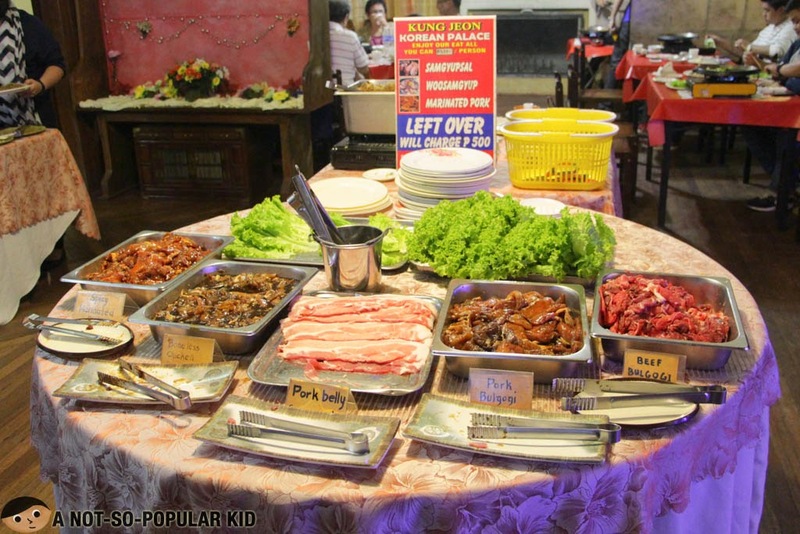 Notably, all the grillables and other side dishes (such as marinated potatoes, kimchi, kimbap and salad) were refilled in frequent intervals, unlike in other similar Korean restaurants in Manila. On top of that, Kung Jeon's unlimited promo is inclusive of its famous sticky rice. All of these really make pigging out easier and more enjoyable here! All the meat are of good (but may not be excellent) quality, and some were even put in the table slightly frozen (making it harder to cook). However, other than that, I really love how generous they are with the huge cut of the pork belly. Also, I was able to note the fantastic marinate on the chicken evidenced by a savory and smokey taste. 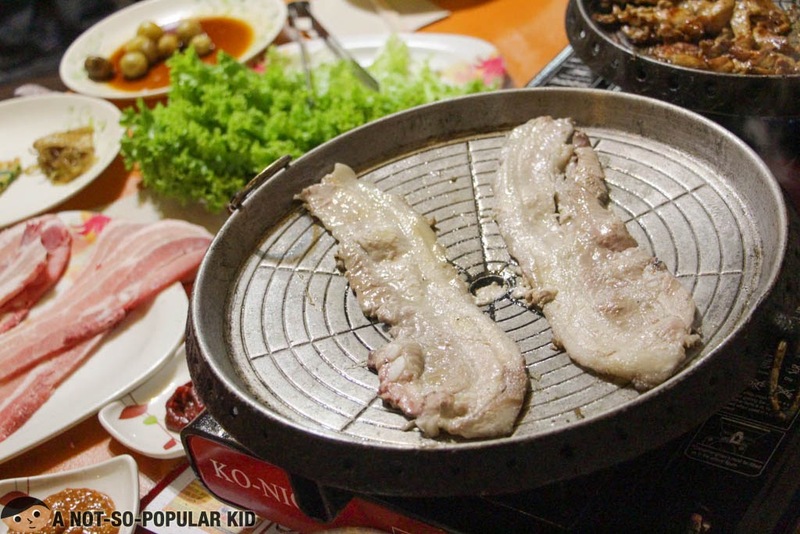 The dining experience here in Kung Jeon was generally fun with all the grill-it-yourself set up. 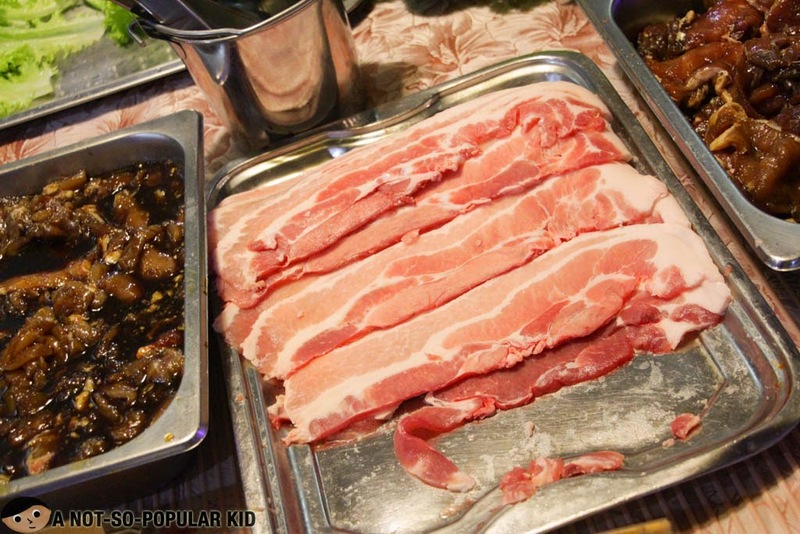 On top of all, you just need to shed out P399 for the generously unlimited samgyupsal (pork belly), bulgogi and other marinated meat! 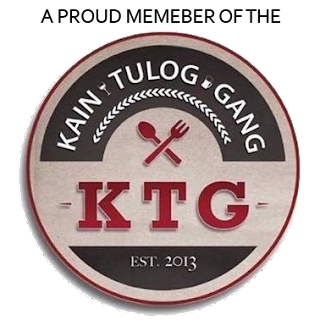 To sum it all, I would say that this is indeed a go-to place for some sulit Korean pig out.